Forever Ewe manufacture and supply garden sculptures featuring traditional New Zealand farm and garden animals; sheep, sheepdog, pig, and cat. Larger than your usual garden ornaments, our garden sculptures were designed by well-known New Zealand artist, Jennifer Maxwell. Featured on television, magazines and one of New Zealand’s top garden shows, they are made of concrete and completely weather-proof. Designed as a sculptural piece for large gardens and lifestyle properties, the concrete sheep sculptures are best sold in flocks of three to five, perhaps with a sheepdog to watch over them. The pigs look great as a solitary garden decoration for any garden size. The cats tend to look best as solitary garden decorations also, and are suitable for any sized garden, front porch or patio. For details of the concrete outdoor statues’ size and weight, see our Products page. Holding exclusive rights, Forever Ewe are New Zealand’s sole manufacturer and marketer of Jennifer Maxwell’s outdoor garden sculptures. 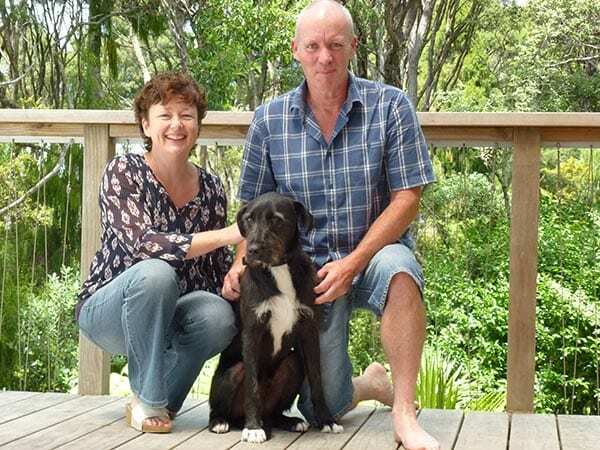 Based in Oratia, in the Waitakere foothills, Forever Ewe is managed by Jenny Scowcroft. Jenny handcrafts each ornamental piece from cast-concrete, ensuring that every sculpture looks stunning.